This month members of RunJumpDev got involved in making games for the Ludum Dare game jam. Ludum Dare is a international game jam that takes place three times a year where participants are given a theme and 48 hours to create a game. This jam’s theme was a two parter — two buttons & growing. RunJumpDev participants met at the Black and Williams Center to discuss their projects, collaborate and work over the long weekend and there were some awesome games made in the process. From the RunJumpDev Ludum Dare jam site, there were five games made. These games are divided by the jam into two different categories — Jam and Compo. Compo entries are made in 48 hours using no pre-existing assets and with individuals rather than teams. Jam entries can have open source art, sound, etc and can have more than one participant. If you’re interested in playing these games, I’ve attached links to the Ludum Dare jam page which should link you to playable versions of these games. Idea: You are a growing tree that has to deflect attacks from Water Orbs that are mad at you for absorbing all the water around them. The goal is to grow so high and absorb all the water you can to win. You can play wawawa on the Ludum Dare jam page. Rockets are tired of the moon taunting them. They have decided to punch it with their face. The moon isn’t really into the whole idea, though, and throws cheese wheels to defend itself. 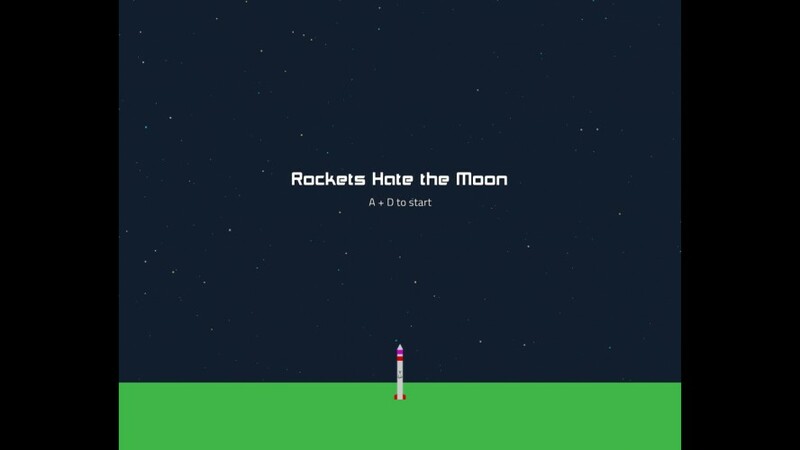 You can find links to play Rockets Hate the Moon on the Ludum Dare jam site. Roto is a two button pseudo platformer where you control the character indirectly by rotating the entire world around it. Collect as many coins as you can and reach the goal without hitting spikes or being crushed! You can find links to play Roto on the Ludum Dare jam site. Forward to attack, Back to Block, Double Tap to Dodge, Forward+Black to Break blocks. Randomization was implemented for a robot-breeding meta-game that didn’t quite get off the ground. 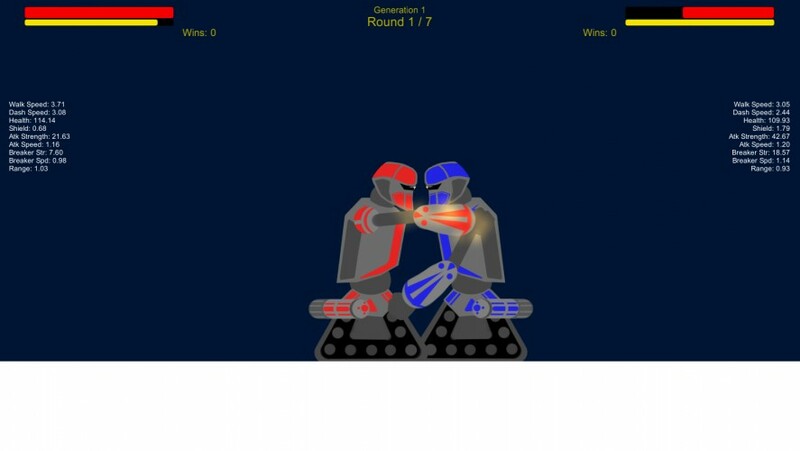 You can find links to play Bop Em Pop Em Androids on the Ludum Dare jam site. A simple 2 player racing game themed around Lewis Carroll’s “Alice in Wonderland.” Players have 30 seconds to get ahead of the other person. 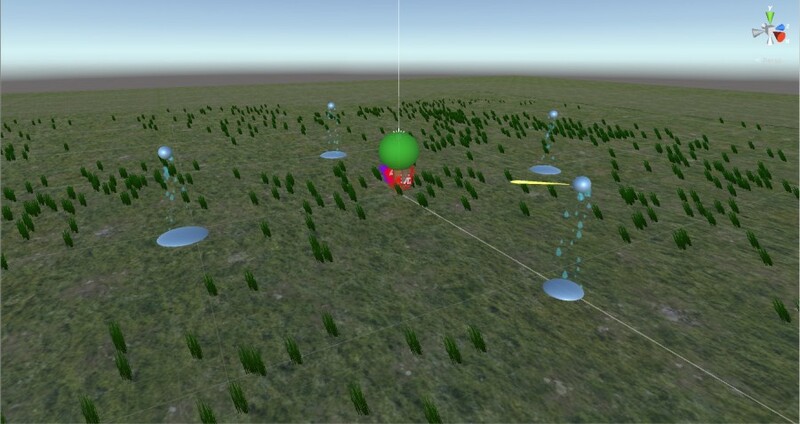 Controls are simple left and right movements, and a toggle between growing to accelerate and shrinking to slow down and move through smaller places. Art is adapted from the original illustrations of Sir John Tenniel. 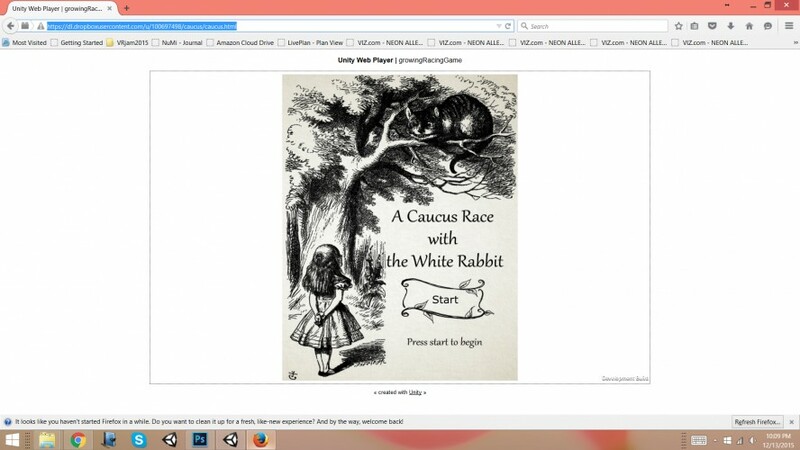 You can find playable links to the game on the Ludum Dare jam site for A Caucus Race With the White Rabbit. 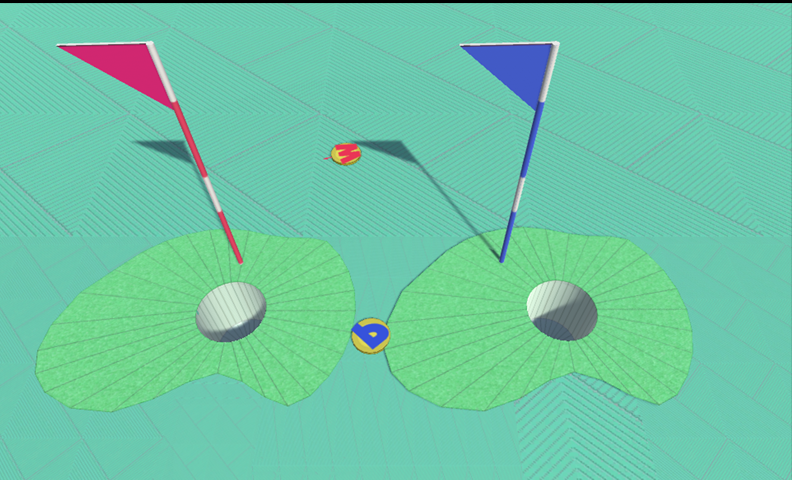 You can find playable links for the game at the Frolf Ludum Dare game jam site. If you’re interested in jamming with us, our next scheduled game jam is the upcoming Global Game Jam in 2016, January 29-31.